Returning to Pinedale, as Choregrapher of the Thai Dance, is John Goss. John was Director of our first musucial, Sound of Music, in November 2008. John started his musical/theatrical life with the Albuquerque boy’s choir where he quickly became a featured soprano singer representing the U. S. in a European tour in 1976. Having caught the musical bug, he became very involved with the Community Theatre in Albuquerque, having performed in 20 different productions including Bye Bye Birdie where he played the title role. His more prominent acting roles include; “Dr. Jykle” and “Mr. Hyde”, “The Beast”, In Beauty and the Beast, “Dr. Frankenstein”, “Will”, in Oklahoma, “The Dentist”, in Little Shop of Horrors, “Matt”, in Fantastick’s and “Raoul”, in The Phantom. He later found himself at Boulder’s Dinner Theatre going to and from there, to working in Denali Alaska and performing on Cruise ships. He has choreographed many shows for Aspen Community Theatre, including “The Music Man” in 2009. 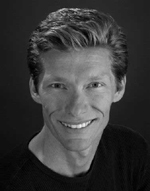 John is Artistic/Managing Director of Glenwood Vaudeville Revue in Glenwood Springs, CO.
David Dyer, Guest Conductor, has been working in the field of musical theatre and cabaret as a music director, arranger and collaborative pianist for over 30 years. You may also remember David from Sound of Music. He holds a degree in music from The University of Northern Colorado, and was a pianist and arranger at The Crystal Palace in Aspen, CO for twenty-three years. 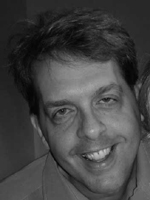 David has worked in numerous summer stock, regional and community theatres. His arranging credits are diverse, and as an accompanist and solo pianist, his musical talents have taken him to many places in the world, including an annual engagement in Mykonos, Greece, the Wexford Festival in Ireland, concert cabaret tours of Germany and Switzerland, and the maiden voyage of the Renaissance R-7 cruise ship in Europe. He has performed in concert with Bernadette Peters, Kitty Carlisle Hart, Little Anthony and the Imperials, and Professor Kenny Watson, among a variety of other artists. He is currently Music Director at The Arvada Center in Arvada Colorado.